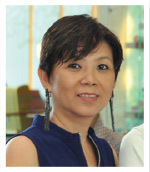 About twice a year, Lillian Too holds her Master Practitioner Course in feng shui, which attracts readers and feng shui enthusiasts from all around the world. This April, students from thirteen countries made their way here from faraway lands to learn feng shui from the Grandmaster herself. Some of them had to endure 36 hours of flight just to be here, but by the end of the week, everyone agreed it was worth the time and effort to come here! Now, in their own words, they tell us what made them come all the way here to spend a week with us! Every single person in the class came because they have read at least one of Lillian Too’s books, which changed their lives forever! We were amazed at all the different books that each of them have read… some of these were self-published by Lillian in the 90s at a time when feng shui books in English were virtually non-existent! I was really surprised as some these are books were distributed locally, but somehow, they made their way to foreign countries. Many of these books were published more than ten years ago, and have now become rare collector’s items! If you have any of them in your possession, hang on to them well and pass them to your children for the future! Hello! I’m a Civil Engineer from Venezuela and I discovered Lillian ten years ago through her books. 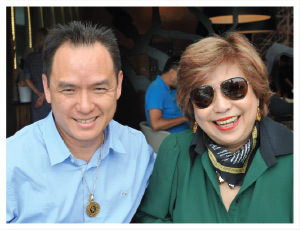 Three years ago, I started studying feng shui seriously and doing consultations for my family and friends. I learned about medical bio-magnetism, chakras and now I teach basic feng shui in Venezuela! 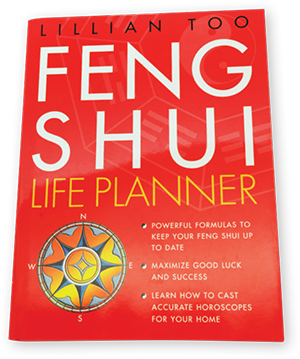 I’ve read many books from Lillian but for me, the book that really changed my life was the Feng Shui Life Planner. This is a wonderful book! It explains everything from the basic concepts until the house charts of buildings, for period of 7 and 8 too. It also teaches flying stars and how to subdue each one. But coming here, and meeting her in real life is so sweet and it was just wonderful! To say that she is a wonderful teacher is an understatement! I LOVE HER PERSONALITY and she is really a master. This week was full of great teachings and surprises! I love you Lillian! I’m a freelance writer/editor living in Perth, Australia. I discovered feng shui 13 years ago while researching an article for a home interior magazine. My enthusiasm deepened four years ago when asked to do editing work in the field of feng shui. I knew of Lillian, having researched feng shui previously, so I got a hold of a few of her books, and I began to read and read and read. 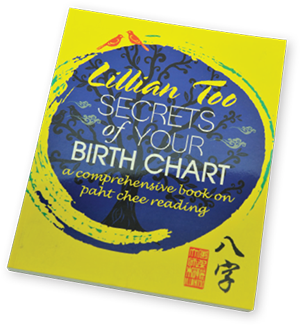 One of Lillian’s books that really changed my life is “Secrets of Your Birth Chart”. This book really opened up my mind. I discovered that our date of birth reveals much information about our life’s destiny. It taught me about opportunities and challenges presented in life and how we can help ourselves make the most of opportunities, and how to overcome our challenges. It taught me how everybody’s personality traits play a key role in the success or destruction of relationships. It taught me the potential of what we can achieve in life, and so much more! I really want to thank Lillian for sharing her amazing knowledge and helping us all live a fulfilling life. Earlier this year, the thought “how exciting it would be to learn feng shui from a Master, and perhaps in an Asian country” entered my mind. I thought of Lillian immediately. I looked up her website and there in front of me were dates of her Master Practitioners Course happening in precisely two months’ time. Before I knew it, I had booked in! MPC was an immensely enriching experience in so many ways. The learning, the culture, the other students, and of course, Lillian herself. Lillian is fabulous! Her knowledge is outstanding and she’s exceptionally giving. I doubt I could have chosen a more superior Master alive, to learn from. There were students in the class from all over the world and we got to know each other daily. Currently, we chat frequently and have become, I am sure, long lasting friends. 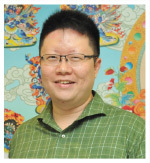 Not forgetting, Lillian’s teaching assistants, Stanley Ng, whose willingness to assist us daily with all our questions was invaluable to our learning experience. All the staff at World of Feng Shui (shop and office) were always ready to assist with what we needed. I highly recommend Lillian’s Master Practitioners Course to the serious feng shui enthusiast to further your knowledge, either in a professional, or personal way. It has truly enriched my life. Thank you! 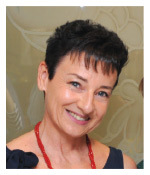 I’m Romanian living in Germany as a reflex therapist and feng shui consultant. I came here because I read Lillian Too’s book 13 years ago and it changed my life. 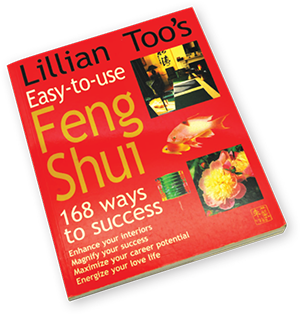 My first book from Lillian was called “Feng Shui Essential”. At that time I was working at a gold pawn shop and was getting bored. I was a bit skeptical about what I read, but I gave it a try. At that time, I was making a normal salary and getting some tips – but mostly, I barely had enough till my next paycheck. So the first thing I activated was my career. I put a fountain there, and it worked! I started to make money from other sources – also unexpected money. This was amazing! Then little by little, I changed a couple of things in my house and my life got better and happier. This was 13 years ago and I’m still really happy this book came into my hands! To be honest, at first my friends laughed at me, saying this is nothing. But after a while, when they saw how good my life became and how money kept coming and good opportunities kept coming… they also wanted my feng shui! I had to make a little compromise – begging to buy all the books and other stuff like feng shui statues, but it was all worth it. So this is how feng shui changed my life for the better! Then I saw Lillian Too’s course advertised on Facebook – so I came because I really wanted to meet her in person. Thank you Lillian for writing these amazing books! I live in Malaysia and I’m a Fitness Instructor (although actually I have a degree in Plant Biology). I grew up in Melaka but have been living in KL for 10 years. I’ve followed Lillian Too since I was very young and I have so many of her books, especially from earlier times. Being interested in feng shui, I’ve read quite a lot of books. 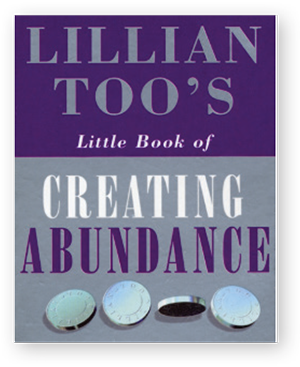 I like Lillian’s writings as her books are so easy to understand and practise. Her earlier books were very basic looking but they were very easy to understand… I have the “Applied Pakua” and “Tap the Power” and “Flying Star”. I signed up because I’m really confused about Flying Star feng shui! I feel good now; I understand flying star much more! Thanks Lillian! 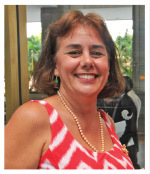 I came to know about Lillian in February 2016 through the shop of Reri Chevalier, who was your WOFS Tahiti business partner and Lillian’s student. Because in 2015 I had very bad year – my wife wanted a divorce (after married 18 years) and my business not so good, my partners stole a lot of my money. A lot of questions in my head! Why this happening to me? Black Magic ?? Unlucky ?? A friend told to me about Feng Shui and WOFS Tahiti. Reri did my Paht Chee and explain to me why 2015 was so bad. Because Monkey have bad star and Reri told me too she have a bad 2015 Year. Then since February 2016 I attend Reri’s course in feng shui in Tahiti. I was also already quite Spiritual because in 2010 I was introduced to Buddhism of Daisaiku Ikeda (Nam Myoho Renge Kyo) like Tina Turner. So chanting Green Tara not hard for me. Reri told me she wanted to sell WOFS Tahiti, and I was very interested. So because I am now becoming new owner of WOFS Tahiti, I came to learn direct from Lillian. It is so marvellous you know, because it means that she waiting for me! Because a lot of time I have to project to do something to help someone !!! 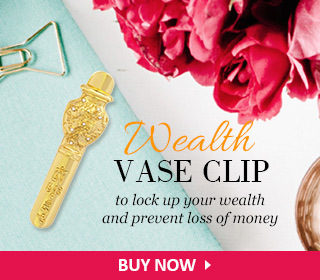 I really am so happy to discover the Feng Shui – to have the answers to all of my questions. Thank you to Lillian and all of you so much for this week a second time. I hope you understand my English !!! 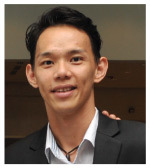 I’m from Singapore and a medical social worker. 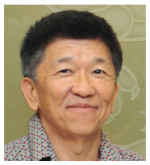 I’ve had the desire to attend the Master Practitioner Course in Feng Shui after reading Lillian’s books, her Feng Shui World monthly magazines, learning her online Paht Chee course and Practical Feng Shui for Modern Living courses, and attending the spiritual feng shui and annual Extravaganza events in Singapore. After being here for a week, I believe that there is nothing comparable to learning from Lillian in person. She explains the concepts in a clear and interactive manner, such that we are able to understand the concepts quite easily. We have also benefitted from the sharing and bonding between one another in the MPC class. Even though we come from different walks of life and across the globe, our passion to continuously learn, understand and apply the concepts of Feng Shui bonds us together. Coming for the MPC and meeting Lillian in person and learning from her has been the best decision I have made in years. I sincerely recommend this course to anybody who wants to learn Feng Shui! And many thanks to our instructors Stanley, as well as the helpful and friendly staff at WOFS like Connie, Jan and the others! I work for Tahiti Airlines and I first heard about Lillian Too when from WOFS Tahiti’s Extravaganza organized by Reri Chevalier (my cousin). After coming home from the talk, I had so much headache because there was so much information given at the Extravaganza! I became really interested in flying star feng shui. 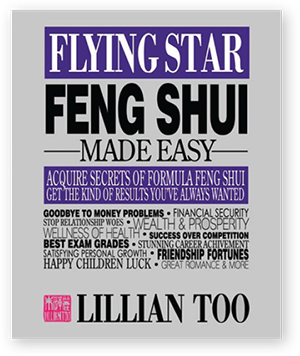 So I ordered my first feng shui book from Lillian, which was “Flying Star Feng Shui Made Easy”, and my God, it was so interesting! I was surprised how scientific it was! This book convinced me to buy all of Lillian’s other books! I am grateful, because feng shui helped me during the time I had a court case and things were not going well. I was able to win the court case! I still have a lot of questions… so I came here to learn more because I believe in feng shui and I believe in Lillian! I loved being here! She is such a positive person! Thank you all for such an great experience! 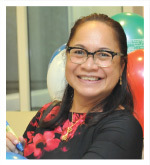 I’m an eye specialist from the island of Cebu in the Philippines. I own a chain of clinics and a healthcare company in the Philippines. 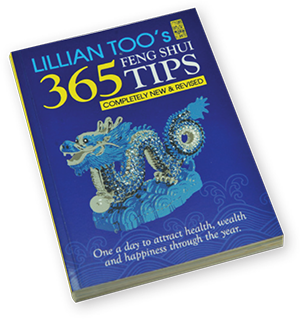 I first learned about Lillian in year 2000, when I came across her book “Lillian Too’s Easy-to-Use Feng Shui 168 Ways to Success” in Barnes and Noble San Francisco. This book has helped me so much in my business! Six years ago, I started coming to her Extravaganzas, and it was the first time I saw her on stage – which was in Singapore. I have learned a lot from her books and magazines and her seminars have helped my business grow a lot. I became very successful! So I came here to learn more from her and I am very glad I attended the MPC. Thank you to Lillian and her team! 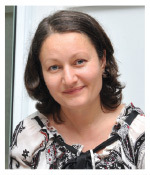 I’m Olga, a Russian lady living in France. 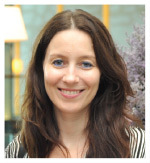 I’m a graduate of Morphopsychology from France, and I have a degree in General Culture from Russia. These days I am also a feng shui consultant. 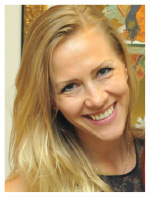 I got to know about Lillian long ago and I even attended classes from one of her Russian students – Natalia Pravdina. For me, feng shui is the most practical and efficient tool to improve life in a positive way! My experience has been wonderful – using feng shui has brought me victory and most importantly – the love of my life and success in my work. 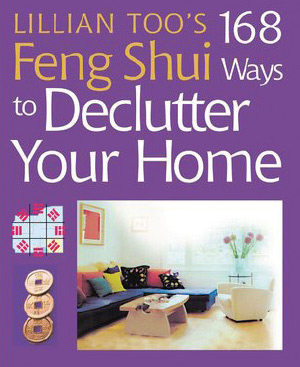 One book from Lillian that really made a difference to my learning of feng shui is the “168 Ways to Declutter Your Home”. This book really showed me how easy and “simple” feng shui can be. When I started to follow each topic one after another – good things started to happen for me. For example: when I put simple pair of rose quartz ducks in the SW of my bedroom (and added a pair of red candles), in one month I found love! Then I remember when I used the fountain in exactly NW 1 with the help of mantras – I obtained a very good job in Switzerland. (In that moment, I really needed it). The magic of Feng Shui is not about being “revolutionary “, but step by step you improve quality of your life. I was already learning feng shui from Lillian’s students – every year I enjoy the Flying Star feng shui – so I decided to come here to be in front of her “live”. It has been truly wonderful! Thank you Lillian! I work as an Administrator in Singapore. I’m a regular follower of her website, magazine and email newsletters. 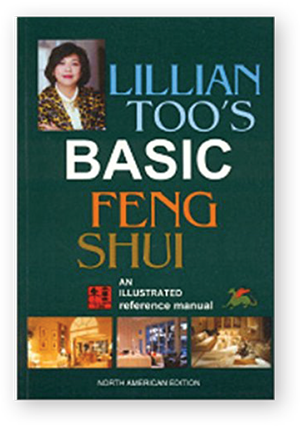 20 years ago I came across Lillian’s Basic Feng Shui book through my brother-in-law. It was so well-written and simple to understand that it made me interested in feng shui. At first I did not sign up for courses, as many of Lillian’s easy-to-understand books are available now. But finally, I have decided to come in person to meet her personally and at the same time, to understand flying stars a little better! I enjoyed this class and also Lillian’s team. Thanks! 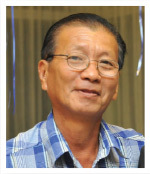 I’m a retired officer living in Labuan (East Malaysia). I’ve been a regular reader of WOFS monthly magazines and actually, I have a lot of Lillian’s books that were published since 1990. One of the books that I like is the 365 Feng Shui Tips book. I’ve followed several tips which I can afford and indeed, my family’s life has changed for the better. Feng shui helped me in my career a lot. I’m now retired (after working for 40 years) and my four children have all grown up with well-established careers. The past is my experience and the future are my expectation. 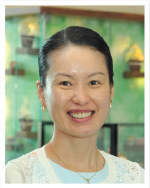 Master Lillian Too is one which I really admire for her talent in teaching. I hope her teachings will benefit me a lot and I will put into practice for a better tomorrow – for myself and my family. My quote is “Better late than never”. You’re never too old to learn! Thanks Lillian for sharing all your knowledge with us. I’m an entrepreneur from Curacao and a feng shui practitioner. I studied journalism and I’m married with two grown children, and blessed with 2 grandchildren! 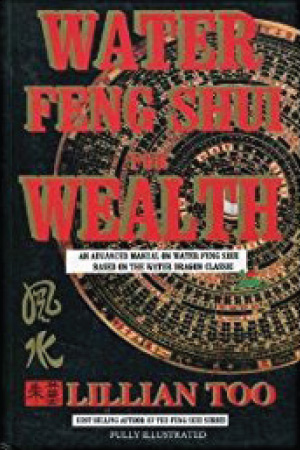 The first time I heard about feng shui was during a vacation with my family in August 1997 in San Juan, Puerto Rico that I saw, while paying for books, a book with on the cover: about health, wealth and balance in your life. I bought it for $7. And read it in one take! I could not imagine that something sounding so simple could exist. It really made me angry that I had never heard of Feng Shui before. Lucky for me that it was the beginning of the digital world in my life; I searched online and found more information about Feng Shui. I started to adapt my life to this powerful knowledge. While researching I discovered WOFS and Lillian Too and that did it. I spent months researching every word of Lillian Too on WOFS and also of other masters. 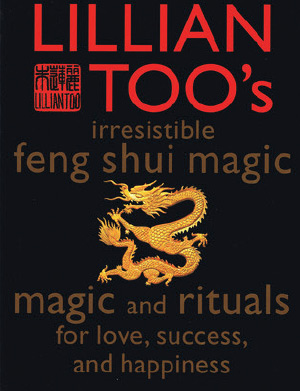 My first book of Lillian Too was a Christmas gift from my husband: ‘Irresistible Feng Shui Magic: Magic and Rituals for Love, Success and Happiness’. I know it by heart. Feng Shui in my life means that I can be of service to others with this knowledge in a really good way. Every time that I succeed in helping others with Feng Shui is a victory for me. The decision a few years ago to develop my Feng Shui business is up to now one of the best decisions in my life. I trust and know that it is continuous learning in a healthy, safe, fun, productive and balanced way. After reading Lillian’s books and website for so long I came here to meet her in person because you cannot be interested in feng shui and not meet Lillian! In my country I have a small group of friends who meet often to discuss feng shui. I hope to be able to take back some good learnings from Lillian to them! It is so great to be part of the vibrant energy of WOFS. I’m a hairstylist, Chinese lady living in Mumbai. I’ve lived here all my life as my parents came here long ago. I’ve known about Lillian long ago – I saw her books in a bookshop here in Mumbai. I have Lillian’s Basic Feng Shui, Essential Feng Shui, Creating Abundance with Feng Shui and Feng Shui Good Fortune Symbols which I bought 16 to 18 years back. I want to share my family story with you. Some time back, just after I married, my dad bought a plot of land and started building on it. When the house got completed, the architect died of a massive heart attack. Then my parents and 2nd brother moved into the house. A few years later, my dad suffered a severe stroke and passed away after nine days in a coma. The following year, my 2nd brother met with a serious bike accident and had brain surgery. Part of his brain and skull was removed and he died shortly after that. My mom was so devastated, she was diagnosed with lung cancer and went as well. That’s when our relatives suspected that there was something very wrong with the house. I consulted a Vaastu consultant (Indian feng shui) who told us that the water tank underneath the staircase had to be sealed with concrete. We did it and since then my other brother has been staying in the same house and his family is doing well. For myself, I bought a salon but lost a lot of money, because it was facing my total loss direction. I realize now that I really need to take feng shui seriously, as I don’t want to lose any of my loved ones again. This is why I came to KL to learn Feng Shui from Lillian! I found out about her classes through the Lillian Too Mandala Facebook page. I want to learn feng shui for myself and not have to depend on other consultants. Thank you for this lovely week. I learned a lot and made good friends. Hello, I’m originally from Georgia but now living in the United Kingdom. I stopped working at an office to take care of my twin girls… so now I work from home as a feng shui teacher and practitioner. 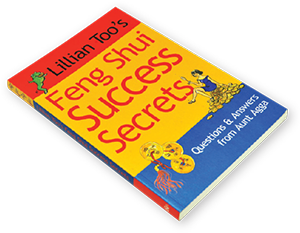 The first time I heard about Lillian was when a friend gave me a book from her called “Feng Shui Success Secrets”. It was such a great book – so many small tips about feng shui and I used most of them! That time I really needed help in my love life, and it helped me a lot! So then I bought more and more books. Some of them were about the house and some about love. But really, my life changed a lot from this book, and now after 3 years, I am here in Malaysia! I am so happy and excited to be here. Lillian teaches us a lot more than what is found in her books, so I feel lucky to be here. I believe dreams really do come true, because mine have come true! I’m originally from Ukraine, and now I live in South Korea. I am a professional ESL Teacher (MA) and also own a small business in bridal services. I discovered Feng Shui a little over a year ago. At the time, I was feeling like I was at the end of the rope, stressed and exhausted due to unexplained malaise, stalled career, and increasing problems at work. My good friend, who is a Feng Shui practitioner came and diagnosed my home for potential energy imbalance. I had nothing to lose, so I agreed. After she made some suggestions, and I made some changes in my house, I suddenly started feeling better! Things started to change for better, my work relationships harmonized. That’s when I got interested in exploring Feng Shui on my own. First book that got into my hands was Smart Feng Shui for the Home by Lillian Too, 2001. I was fascinated by glossy pages with bright illustrations and simple, easy to understand text. I swallowed the book in one day and wanted more! I truly believe this book came in my life at the right time and put a beautiful beginning to a change for better. Since then I got many more books by Lillian Too, and all of them are valuable extensions of each other. They serve as a guide for me while I help others balance their environments. That’s what brought me here to KL! Thank you Lillian Too and your team for a great week! I’m a property accountant and own a business in sourcing land and developing properties. I came to know about Lillian through her magazine. 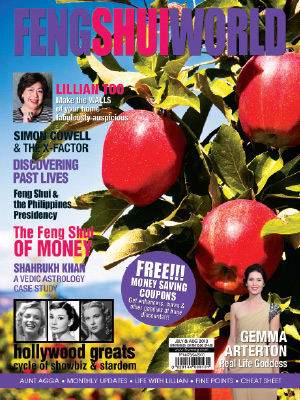 In 2010, while browsing Kinokuniya bookstore, her magazine “Feng Shui World” caught my eye. It provided many interesting topics that relate to daily life – from solving insomnia, to attracting partners and success in business and career. It published examples of good/bad interiors design of properties with logical and practical explanations and feng shui solutions. 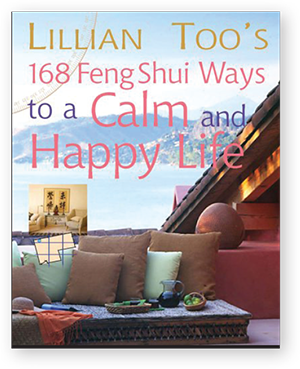 Lillian’s practical and logical explanations convinced me that feng shui can be very modern and practical. As a Finance person trained in Risk Management, I can see that Lillian approaches feng shui in a similar way: identification, assessment, prioritisation of risk followed by co-ordinated and application of resources to minimise, monitor, and control the probability and impact of unfortunate events, as well as maximise the realisation of opportunities. 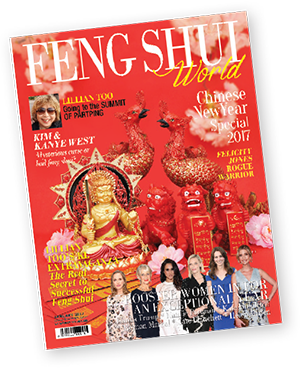 With the consistent knowledge share by Lillian through the Feng Shui World magazine, I’ve subscribed since 2010 because I can read the topics whenever and wherever I am in every part of the world. 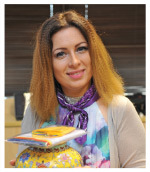 The monthly subscription and reading of “Feng Shui World” led me to attend Lillian’s master class. I wanted to understand how Lillian performed root cause analysis before solving the feng shui related problems. The MPC will definitely help me make better decisions in my property development business ventures! 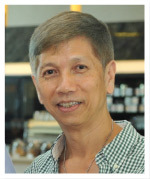 I’m a retiree, former QAQC for SP Setia for 11 years! Married with four lovely children. 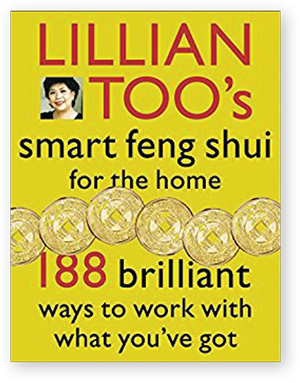 I became interested in feng shui after reading Lillian’s books 20 to 24 years ago – Feng Shui, Applied Feng Shui and Water Feng Shui. Just reading the first 2 to 3 pages prompted me to buy her books, especially since she is from a renowned Harvard University and her high banking post in HK. Apart from this, her sharing of good feng shui has enhanced the lives of people around every nook and corner, provided it is used correctly. Well it is not a religion, but it helps people live harmoniously, happily and with good bonding relationship among family, colleagues and countries all over the world. I feel liked l am in one great happy family when I participated the recent MPC at WOFS. Everyone is so nice and caring. What piqued my interest is that many years ago, I read that the double happiness Chinese word can help to activate my marriage life. I was sceptical but back then I was in my late 30s and I ask myself “are you going to be a bachelor in your whole life?” I told myself, no, no. I am going to settle down and have a family. To let this materialise I needed to sacrifice a small little effort. So I started by displaying the Chinese double happiness in my bedroom. My pillow cover and bedspread cover was emblazoned with this word too. I got married after a year later! Well my advice to all is never downplay small little helpful things. 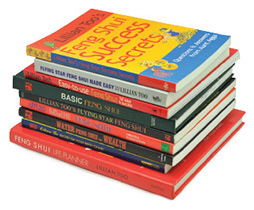 I hope feng shui from Lillian’s books and her MPC will leads us to a better fulfilling life and walk the true path. Thank you Lillian and everyone at WOFS. I’m a former army officer (21 years) and I now work as an accountant for the Ministry of Public Financials in New Caledonia. I first knew Lillian through her book “168 ways…” which I read when I was still living in France in 2013. Then I got posted to New Caledonia for 4 years since 2014. One day a beautician gave me the business card of Christophe Cheung, owner of WOFS in Noumea (New Caledonia). And from then, I enter into the world of feng shui! 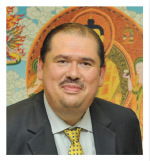 I attended a first course with Christophe in October 2014, then followed him to Kuala Lumpur for the Spiritual Feng Shui with Lillian on August 2015. Then I attended a second course about flying stars on November 2015 and then every feng shui talk by Christophe in Noumea. So then I decided to sign up for MPC with the aim of improving my Feng shui skills and later, I will come for MCC and Paht Chee. 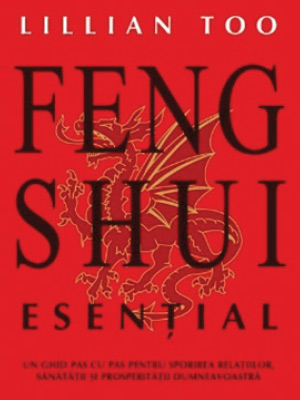 One thing I like coming here is that the explanations in the class really helped me understand feng shui better, something I could not get from the books alone. Thank you to Lillian for her warm heart and generous person. And thank you to WOFS team. I enjoyed so much. I’m a retired lady (previously a business owner and lawyer) and became interested in feng shui for the first time when my husband and I planned the construction of our house in 1998. It was at this time that I read my first book of Lilian Too – the red book with the yellow pakua – the Illustrated Guide to Feng Shui. I was interested very seriously in the wellness of the human being in this environment so I started to learn Geobiology, Magnétisme, the purification of space… and more particularly feng shui since 2004 and so I bought a lot of books of Lillian Too. Two of my favourite books are the gardening ones – the Little Book (green) and the big book – Feng Shui for Gardens. 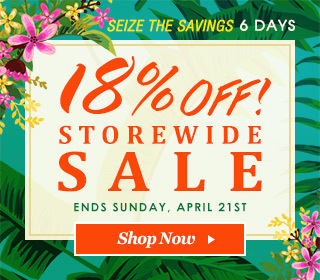 After that, I met Reri Chevalier in her beautiful WOFS store in TAHITI and since then, I have attended her feng shui talk every year. Reri invited me to the Spiritual Feng Shui Extravaganza in Malaysia last year. That was my first meeting with Lillian and everyone at WOFS and what an experience!!!!! Back in Tahiti, I signed up for Feng Shui online course for real estate which helped me to organize my place, on the advice of Lillian Too. And that’s how I came to Malaysia for MPC. I plan to come back as soon as possible and for sure in October to attend the Paht Chee course that Lillian is teaching! Thanks to your wonderful team! Hello, I’m an Operations Manager from New Caledonia and I learned about Lillian through Christophe Cheung (her business partner here in WOFS New Caledonia). 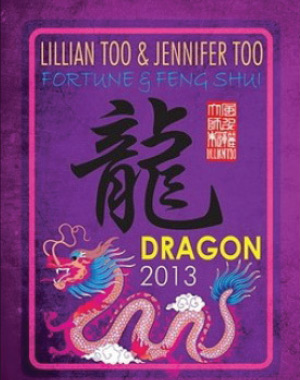 The first book I read from Lillian was the Astrology book for the Dragon in 2013. At that time, I didn’t believe in Feng Shui at all, but each word written in this book was absolutely right, so I was forced to take it seriously and check what I could do. At that time, my life was falling to pieces. I lost my boyfriend, my job wasn’t going well and my father had just died. Then with the help of Christophe, I checked my apartment and everything made sense. I changed everything in my house and my life started to change in the same way. It was amusing how the Feng Shui has changed my life, I mean in the physical aspect, but also in my way of thinking. Today, 4 years later, I want to help other people as we did for me and I want to share with the others this wonderful and powerful way of living. 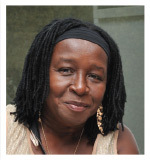 Lillian has such a positive energy to teach you how you can live a long life full of joy and harmony and stop wasting your time. This is the main reason why I joined the MPC. To be inspired by Lillian and share this knowledge with others. The MPC was totally a great experience. I met some people from all over the world with different ways of thinking, different cultures, but with the same goal. Live a happy and long life and help other people to do the same. It was a real opportunity for me to be with Lillian and her lovely team during this week. I would highly recommend to join the Feng Shui “family” if you got the chance to do it.